At today’s hearing of the Bi-partisan Preparatory Commission, the Rhode Island Center for Freedom & Prosperity released a report, The Path to a Constitutional Convention, which provides a well packaged addition to the discussion of why and how to convene a constitutional convention. The core of the report is the “how” question: the process by which delegates to a constitutional convention would be selected. This is a very important issue, as the answers to it largely shape the integrity of the constitutional convention itself. It’s helpful to get this discussion going early, as the General Assembly has a lot of discretion (too much, in my opinion), in determining the electoral procedures. Describing the types of issues a constitutional convention could address is also helpful. The Rhode Island Center for Freedom & Prosperity’s report largely follows Rhode Island’s last enabling act in 1985 to convene a state constitutional convention (it also is largely consistent with RhodeIslandConCon.info’s FAQ on how a constitutional convention could work). 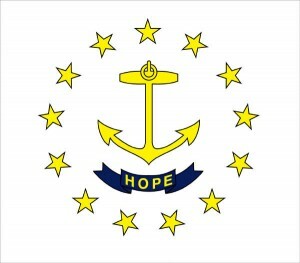 The 1985 enabling act is the most recent in U.S. history, as Rhode Island was the last state to convene a constitutional convention. It may now be outdated, but of America’s 233 state constitutional conventions, it was also one of the best, so the Rhode Island Center for Freedom & Prosperity had a good foundation on which to build. The biggest procedural omission in the report was no recommendation for using ranked choice voting (more popularly known as instant runoff voting) to determine the delegates. Ranked choice voting can eliminate a lot of common electoral shenanigans both by voters (who otherwise have an incentive to vote strategically for candidates who they think can win rather than whom they prefer) and political operatives (who can support candidates who have no chance of winning to hurt a front-runner they oppose). This is especially a problem with state constitutional convention elections, where many candidates often run for a single delegate position. In Rhode Island in 1984, there were an average of five candidates for each delegate position. Winner-take-all voting procedures don’t work well when there are many candidates for a single office. With so many candidates, ranked choice voting is a more democratic procedure and one that new technology has made more practical than ever before. Thanks to its use in more than a dozen cities (as well as countless private organizations), it’s also now relatively easy to implement. A blog post of the second meeting, including links to written testimony can be found here. Addendum: Many of the procedural proposals contained in the report by the Rhode Island Center for Freedom & Prosperity were echoed by other speakers at today’s public hearing. Two speakers also endorsed instant runoff voting, which was not in the report. A total of nine individuals testified, of which six had something to say about procedural issues.